A certificate programme accredited by the Yoga Alliance, this Prenatal & Postnatal Yoga Teacher’s Training Course provides an excellent opportunity to expand your skills on teaching a specific group of students – pregnant women. The course guides one to develop the inner teacher within you and discover that everything we need is already within us. The course aims to guide you on how to use the practices as a tool for inner and outer transformation. T he Prenatal & Postnatal Yoga Course is intended to give better and deeper insight into the applications of Yogic practices and their benefits on pre and post-natal students. Most of the times students coming to prenatal yoga classes know that yoga will help them through their pregnancy, labour and beyond. By equipping oneself with a better understanding of the bodily changes over the trimesters and possible complications of pregnancy, Yoga teachers are able to be more sensitive and mindful of pregnant students by offering appropriate modifications as and when needed to make the practice suitable and comfortable. T his course will cover fundamental understanding of the pregnant body and how to sequence a prenatal yoga practice. The course also covers the yogic perspective of pregnancy and how to use yogic tools to prepare oneself during the transitional phase of pregnancy and beyond. Yoga Mala is a registered school with Yoga Alliance. Our teacher training programmes and teachers are internationally accredited. Yoga Alliance is an international governing board for yoga teachers and training programmes in the US and globally. Graduates of our programme can register as a RPYT (Registered Prenatal Yoga Teacher) if they have successfully completed both a 200-hour yoga teacher training and an 85-hour prenatal yoga training—in either order—that are registered with Yoga Alliance. 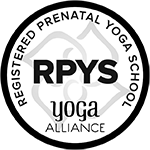 Applicants must submit 30 teaching hours in prenatal yoga which must be performed after completing the training with a RPYS (Registered Prenatal Yoga School). Becoming a RPYT means having a higher profile and gaining international recognition as a yoga teacher, attributes that many hiring studios look for. Yoga Mala conducts both full-time, as well as part-time Prenatal Yoga Teacher Training Singapore courses. Our full-time courses are conducted on weekdays whereas our part-time courses are conducted only on the weekends. Please refer to the schedule below for our prenatal yoga teacher training Singapore classes in 2019. Rajesh Raushan obtained his D.Y.Ed. (Diploma in Yoga Education) from the world-renowned G.S.College of Yoga & Cultural Synthesis located in Kaivalyadhama, Lonavla, Pune (Maharastra), India. 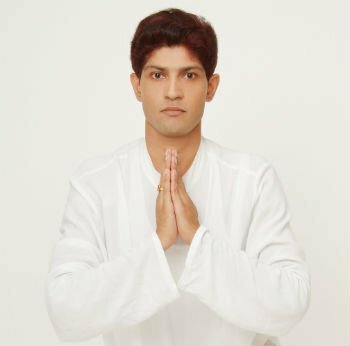 Since then he has been a student of Yoga for over 21 years and is still constantly expanding his interest in related studies like Pranayama, Meditation, Therapeutic Application of Yoga and Anatomy. Rajesh also accredited ERYT 500 with the Yoga Alliance, USA. He has achieved 19 years of experience in teaching Yoga and Yoga Therapy in India and Internationally. Students who are interested in participating should bear in mind that this will be a physically and emotionally demanding programme. It will require a strong commitment and personal sacrifice, as well as the support of the student’s primary support network. We emphasise that this programme may not be for everyone. 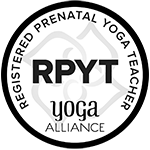 Graduates of our programme can register as a RPYT (Registered Prenatal Yoga Teacher) if they have successfully completed both a 200-hour yoga teacher training and an 85-hour prenatal yoga training—in either order—that are registered with Yoga Alliance. Applicants must submit 30 teaching hours in prenatal yoga which must be performed after completing the training with a RPYS (Registered Prenatal Yoga School). Becoming a RPYT means having a higher profile and gaining international recognition as a yoga teacher, attributes that many hiring studios look for. The Yoga Mala 85 Hr Prenatal Yoga Teacher Training is based on continuous assessment, project and conduct. Students will be given take-home assignments. Please purchase the following yoga texts for your Prenatal Yoga Teaching Training. We sell Asana Pranayama Mudra Bandha at nominal prices. You may choose to purchase them from us.